Admitted to practice before United States District Courts Eastern District of Missouri, Southern District of Illinois, and United States Court of Appeals, Eighth Circuit. Steve Erickson is a Senior Counsel with the Firm practicing in the areas of insurance defense, construction law, products liability, and labor and employment law. Steve began his career as a Public Defender where he jury tried numerous felonies and was post conviction counsel on capital murder cases. 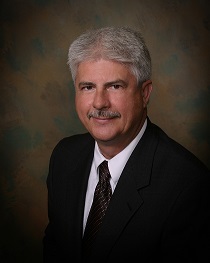 He developed extensive civil litigation experience as an Associate and Principal with the Moser & Marsalek, P.C. insurance defense firm, and training in law office management while serving as Managing Attorney for a Zurich Staff Legal office. Since 1999 he has been the principal attorney in The Erickson Law Firm, LLC with an emphasis on civil litigation, products liability, and fire and accident investigation. Steve has been first chair trial attorney in cases involving felonies, medical malpractice, products liability, personal injury, and wrongful death. He has been responsible for the investigation, development, mediation and settlement of employment law cases involving wrongful discharge, race discrimination, age discrimination, gender discrimination and sexual harassment. Steve received an AV rating from Martindale-Hubbell.